The Process West Stage 2 Front Mount Intercooler Kit for the Ford FG Falcon includes a 420 x 410 x90mm bar & plate intercooler core, with hi-flow polished aluminium end tanks. This allows for smooth flow and effective cooling of the charge air entering the engine. 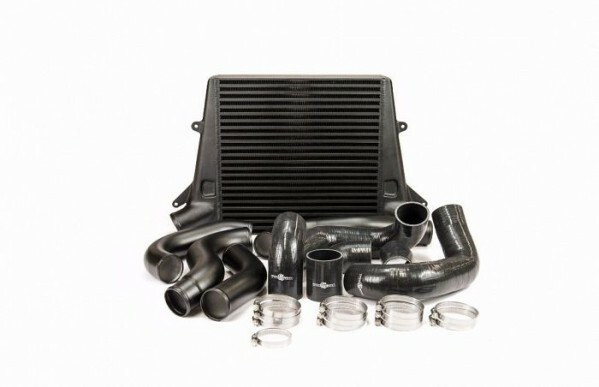 Along with mandrel bent aluminium piping this Front Mount Intercooler Kit offers superior cooling performance for the Ford FG Falcon. Included in the kit is all the necessary silicone joiners and appropriate stainless steel hose clamps.